Bernadette Jiwa is brand story strategist, speaker and author of four #1 Amazon Bestsellers Difference, Marketing: A Love Story, The Fortune Cookie Principle, and Make Your Idea Matter. Her blog was voted Best Australian Business Blog in 2012 and was named one of Australia’s 20 Best Business Blogs in 2014. She also spoke about the secret to spreading ideas at TEDxPerth. In this review I’ll talk about her wonderful book Marketing: A Love Story. In it Bernadette talks about how we make our ideas resonate. She redefines marketing and shows you how our ideas can translate into value. She shows you how to bridge the gap between your work and what your customers really want. And she does it all in just 110 pages! The book is split into three sections: strategy, context, and story. Each section has easily digestable chapters that help build your understanding of marketing. It is a must read for anyone who is having trouble connecting with their audience or customers. Your marketing strategy should be the long term plan you create and use to reach your goal. In the book, she covers the plan in more detail. She tells you almost everything you need to know to begin promoting your art. Marketing starts with why you are creating and who you are creating for. It also asks you to define how you are different from other artists. 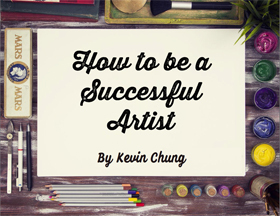 Once you figure these things out, you have a much greater chance of selling your art. She then goes into the more technical details of your plan. These include everything from pricing, to distribution, to platform, to the strategies you will use. The combination of these ideas will give you the best shot at success. Most people go into business with the hope and pray strategy. If your business is based on hope, you need to rethink it. The problem many people have when trying to market their work is, they don’t know what need they are filling. If you want someone to buy your art, stop thinking about yourself. Think about your potential customers instead. Most creators fall in love with their products. It’s inevitable. You become so wrapped up in the product you’ve created, you forget that, if you want to sell your work, you must love your customer instead. You must create something for them, not for yourself. The best way to do this is to understand what people value, and give it to them. Instead of trying to sell someone a painting, sell the feelings someone gets when they see the painting. Look at your product from the customer’s point of view. Find the reason someone might want to buy your painting. Your customers are no longer looking to buy stuff, they are buying something that makes them feel. They are buying something that helps them express themselves. They are buying something that provides meaning. Instead of worrying about everything from your point of view. Flip it around and look at it from their point of view. That is the best way to a customer’s heart and the best way to provide them with something that they will buy and treasure. 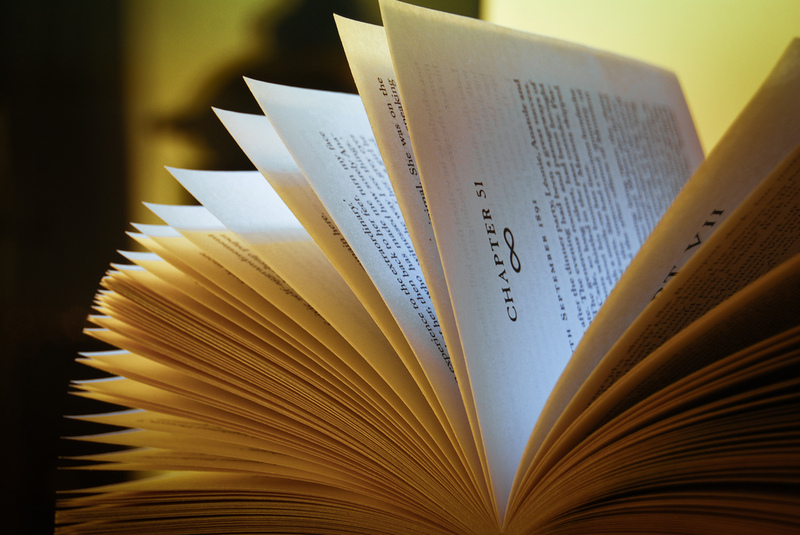 Story is one of the most important aspects about marketing your product or service. Companies used to blast their potential customers with ads for their products. They put up billboards, advertised in newspapers/magazines, and bought commercial space just to get in front of their customers. These methods worked well before the age of the internet. Since the internet boom of the early 2000’s, it has become much harder to just shove a message in front of your audience. You can no longer rely on blasting your message out there. You have to create a difference for your customers. The way to do this is through story. Your message should speak to your customers’ hopes and dreams. You must attach meaning to your products. Give your customers a reason to belong. When your customers become loyal advocates, you don’t have to worry about the competition. If you have found a way to matter, your concern should be obscurity not competition. Many people, especially artists, have a hard time with marketing. They believe they are selling out. It is time to get rid of this outdated concept. Marketing is all about solving the needs of your customers. It’s about sharing your art with customers who will love it. If you want a beautiful look into what marketing is really about, read this book. Marketing is usually billed as that icky thing you have to do to sell more tins of beans, to get attention for your work, your business or your cause, and the only reason to care about it is because it’s how you survive. The interesting thing, though, is that we are all marketers. As humans, we are hardwired to want people to agree with our worldview and belong to our groups. It isn’t the ‘what’ of marketing that has gotten it a bad rap but how we’ve done it and the shortcuts we have taken in the past. Research conducted into how people are persuaded proves that the way we are treated—and the way that treatment makes us feel—affects our opinions and our behaviour. People can’t help wanting to give back the kind of behaviour or service that they receive, and if we can find ways to authentically show our customers that they matter to us, then we have a better chance of mattering to them. The difference between a good idea and a commercial success is context—the understanding about where that idea might fit and be useful in the world. One of the biggest challenges an entrepreneur or innovator has is understanding how to make his ideas resonate. Marketing is the way we communicate how our ideas translate to value for people in a marketplace. What if marketing was less about promotion or coercion and more about reaching out to people and helping them to solve problems? When technology and infrastructure gave us access to things beyond our villages, branding began to signal a different type of belonging, one that said ‘you can trust this because it has my mark on it’. A brand became a symbol of trust. while a label can be assigned or attached, an emotional anchor is earned. Ideas in isolation are worthless; if they have no impact, then they didn’t matter. Thoughts about what it will feel like to see your idea (innovation, product, service, book, video, design) in the world are what drives you to push through when the going gets tough. Often, though, that vision begins and ends with launch day, with most of your energy being focused on giving birth to the project. By definition a mission statement is the official line on the aims and objectives of your organisation. Having a business idea is the easy part; conveying why it should matter to people and why they should pay for it is not as easy as we like to believe. Your mission statement doesn’t need to be long and complex; it’s simply a promise—your statement of intention. It needs to clarify the answers to the following two questions: What do you do? What happens because you exist? After you write your mission statement, it shouldn’t live in a dusty A4 file or be buried on a long-forgotten, never-updated page on your website. And it shouldn’t just be something you say. It should be something you live every day, on purpose. When we design our stores and our businesses to confuse people, we probably do just that. But intentionally making people feel helpless is the world’s worst marketing strategy. If you’re ever in doubt about how to create value, simply work out how to make your customers feel good. Then do that. It turns out that there isn’t a single downside to getting closer to the people you want to serve. How are you getting closer to your customers? what makes LEGO the best in the world is how and where they begin the process. LEGO design doesn’t begin with the brick. It begins with the people who will use it. If you want to be the best in the world, don’t start by trying to create the best product or service. Start by figuring out how people want to feel. Our products and services don’t create difference for our customers. We don’t spend enough time working out how to fulfil that tiny gap in human desire. We want to raise awareness and stay top of mind. We have the budget. We think it’s easier than figuring out how to give people something to talk about. Our competitors do it. We’ve made something for everyone. We confuse awareness with impact. We’re afraid. Or worst of all, we believe that advertising is a shortcut to mattering to customers. What if, instead of spending all that time and money on deciding how to tell customers who we are, we spent more time and money on being who they want us to be? Focus on doing the best work you can do today. Learn how to see the truth and the opportunity in what’s right here, right now. Listen to what’s going on around you instead of to the voice in your head. Be grateful for who and what you have in your life at this moment. Decide what matters, then make that happen. Stop worrying about where you’ll be this time next year. understanding your customers is a better strategy than hoping. It turns out that people aren’t just buying software and aren’t buying based only on price . Customers don’t often pay for the actual value the product delivers. People pay for the intangible value, for what they experience and what they care about. Your competitive advantage is what your customers believe, not what you make in the factory. Access to both information and stuff was scarce ten years ago. It’s not what’s valuable now. Just showing up, unlocking the door, and putting on the conference or giving the lecture is no longer good enough. Access is no longer the point. In a world where everything is a tap or a click away, what matters is not what is taught or sold, but how it’s delivered, and how that made someone feel as she walked out the door. In business, the quest for more has led to marketing without context—a kind of ‘great email smash-and-grab’ which has left us living in popup hell. The truth is that you never win if you try to make your work resonate with everyone, and ‘most’ isn’t the best measure of a more successful business or a fulfilling life. if hearts and minds are what you’re after, then a more-eyeballs strategy might not be the best one for you. determine how to punctuate the right person’s day and deliver one moment of anticipated joy or welcome interruption. Change how people feel in the moment. Give people a story to tell themselves. Notice what people already do and find ways that you can either change or become part of those rituals. Make it easy for people to come back. 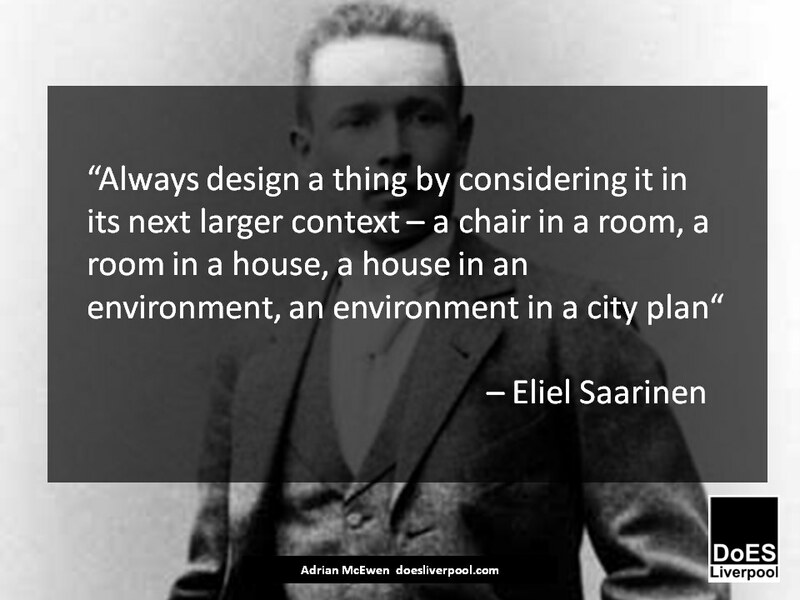 Creates meaning around your product or service. Determines what you sell, where and when. Dictates the price range you can sell at. Influences the kind of customers you can sell to. Changes how people feel about commodities. Sets expectations. Affects the kind of staff you can attract. Demonstrates your values. Shapes business models. Enables loyalty, connection, belonging and love. We are at our very best when we see the world through the eyes of the person we’re trying to matter to. It turns out that trust is the scarcest resource we have. If there were a ‘how to’ guide, then everyone would have the formula and nothing we created would be unique. Nobody can tell you what to stand for, or how your values, wants and needs should intersect with those of your customers and then manifest as a business, an idea or an experience. Until you do the hard work of understanding the ‘why’ and the ‘who for’, every tactical ‘how to’ has the potential to take you down the wrong track. The most useful answers are the ones we take time to figure out for ourselves—not the ones that everyone can find in a handbook. as busy business owners and idea creators, we struggle to find time to ask really important questions of ourselves. When you know what you want, where you’re headed and why, almost nothing can stop you. The best content, though, goes beyond simply being advertorial and appealing to everyone. Great content changes how people feel by being either useful, entertaining or inspiring. Your products and services help clients and customers to be better versions of themselves every day, so your content should be designed to do that, too. Great content doesn’t feel like marketing—it feels like a gift. Content marketing, like all your marketing, isn’t something separate from your work but is an extension of it. Use content to help people to understand more about who you are and what your business stands for. Don’t see your content as a big old sales funnel. people like to understand what they need to do next. Your website shouldn’t be optimised just to make people click what you want them to click. Your website needs to make people feel like they belong. The platforms and tactics we use to reach our customers in a digital world keep changing, but the strategy for touching human beings who make decisions with their hearts and not their heads remains the same. Who exactly do we want talking about our product or service? What do we want them to say? How will we make sure it happens? be the marketer who bakes growth into his business by delighting customers, giving them a story they want to tell (and a way to share it). Growth hackers optimise their businesses to acquire new customers by first delighting one customer and then making it easy for that customer to share the story with friends. It turns out that growth hacking is really the practice of creating and leveraging word-of-mouth with intention, and it’s not confined to technology businesses. It’s our competition’s job to compete and yet we’re often surprised when they do. What would the world look like if you focused on doing the work as if today were the last time you would get to do it? You can choose to act as if you were the market of one for the people you want to serve. In a world of finite time and infinite choices, it’s easier than ever before to rationalise walking past. The only way to matter is to first determine what matters. You need to give people a reason to stop and listen to your song. we know the target is there, but the target is not the focus. The focus is on how we aim—on doing the right thing today and then building on that by doing it over and over again. your target is how you’re aiming right now. In a world where it’s harder to get attention, gaining mind share is a priority for everyone. why will one person care that we’re here in the first place? What are we doing that’s going to compel that person to tell two friends and then come back tomorrow? There’s something that’s harder to cultivate than attention. Something that there is no formula for getting. Something that can’t be captured, but has to be nurtured instead. That something is a feeling of connection and belonging. The smart brands of the new millennium have thrived on this notion of building for belonging. You’ve got to find a way to be ‘that guy’ for the people you want to serve. The one who is patient enough to take the time to make them feel like they belong. how can we expect what we’re not prepared to give? Even if your business is online, you have to find a way to give people virtual eye contact. It seems that hardly anyone takes the time to properly pay attention anymore, to do just one thing. Your customers want to be that one thing. They want to feel like they matter. poor service not only damages our bottom line, but also widens the gap between us and our competitors. In a world with so many choices, it’s no longer good enough to show up and open the door. While most retailers were showing people what they had in stock, Apple was showing people what their products could help them become. What Jobs recognised was that increasing sales, growth and market share is a side effect of understanding what people really want. He gave them reasons to crave, to covet and to belong. How to ‘go viral’ with intention Create something that people want. Know whom you want to infect. Have a great reason for wanting to infect them. Matter to one person first. Speak to that person. Change how people feel, before you try to change what they do. Notice what your customers care about most. Do more of that. Work hard to give people something to talk about. Kittens don’t count. Consciously bake word-of-mouth into your product or service. Most people skip this step. Make giving people a reason to talk about your products and services part of your culture, not just your marketing. Do it on purpose. Then do it over and over again. THE BIGGEST PROBLEM FACING ENTREPRENEURS …is love. People with great ideas (and average ones, too) are in love with the ideas themselves. Because we’re human, we become irrationally seduced by the potential of our own solutions. This infatuation blinds us to what matters most, to the thing that gives an idea the best chance to fly. what you need more than a love of your product is love for your customers. You have to care about them to want to make something for them. And you have to understand them to care about them. When you innovate and build your business from a place of empathy and a desire to create difference for your customers, those values bubble up into everything you do. In the end, BlackBerry didn’t lose out because of Apple and Google; they lost out by failing to understand how their brand would enable connection going forward. The trouble with positioning is that it doesn’t take into account that business is symbiotic, that the relationship between brand and customer really is interdependent. The brands that we care about don’t just make innovative products; they shape our culture and make us feel like better versions of ourselves. We mostly get stuck not because we don’t know the right answer but because we haven’t begun to ask the right questions. 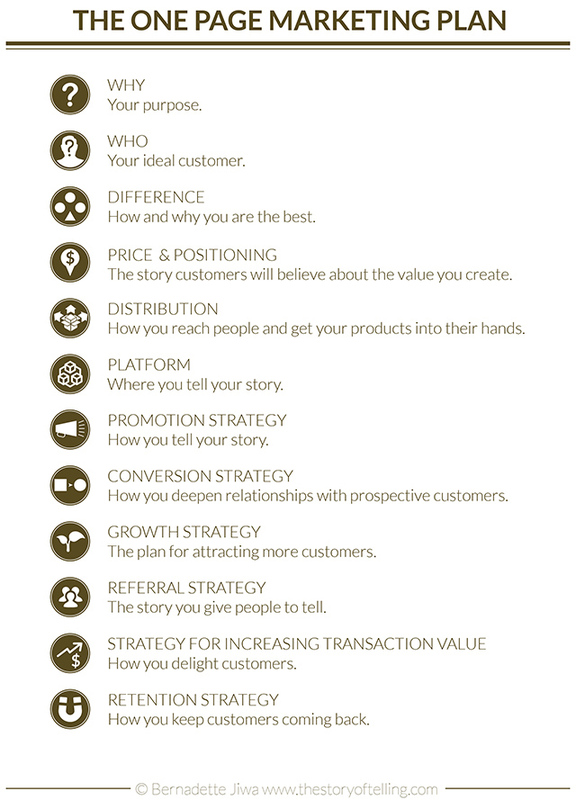 Here’s a handy list of questions to ask before you bring your product, service or idea to market. Why are we making this? Why doesn’t this exist already? Why us? Why now? Why do people need this product? Why will people want this product? Why will people pay for this? Why will this make people do/feel/be what they want to do/feel/be? Why would people buy from our competitors? Why will people cross the street to buy from us? Why does this idea matter? Telling people what to believe and what to buy worked for a little while, but it’s not working so well now. People don’t want to be mainstream or normal. People aren’t just buying ‘different’; they are making choices right out there on the edges, as far out on the precipice as it’s possible to go. People want what they want, not what the world tells them they can have. In a world of infinite choices, where faster and cheaper are two clicks away, and free overnight shipping makes closer increasingly irrelevant, every business must question why people will pay for their services. The value of everything was always in the meaning and the story we told ourselves about having, owning or doing the thing. If you can’t add value in the moment, then the only opportunity open to you is to add meaning. THE MOST DANGEROUS THING ABOUT YOUR COMPETITION …is your obsession with them. It’s far more productive and more profitable to obsess about what your customers are doing and then determine how you could help them to do it with more ease. Becoming the competition doesn’t always mean using the same old rules to beat others at their own game. Focusing on the tiniest gap in your customers’ desires might be a better strategy. 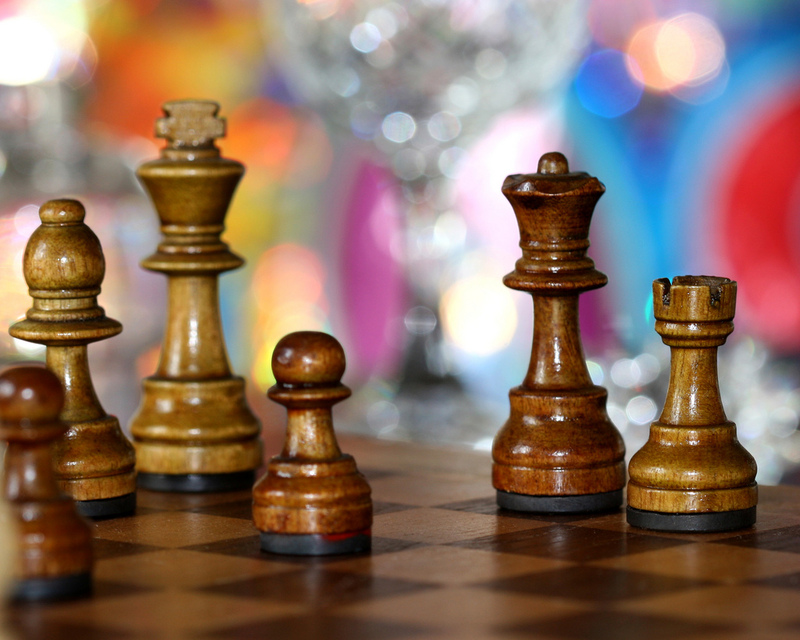 A winning sales strategy doesn’t just involve working out how to sell more of what you make. A better plan is to understand what people really value and then to give them exactly that. There really is no substitute for standing in your customers’ shoes. You can have the best product in the world, but if people don’t buy into the story, you’ve got an uphill struggle on your hands. We might know that our product really is the best in the world, but we’re not the ones who get to decide. It’s humbling to realise that the people we serve, not our technologists, publishers, innovators, designers or marketing departments, decide what’s worthy and what wins. It isn’t one sudden seismic shift that creates change, but a billion tiny incremental movements in the moment. If you want to disrupt your market, look for opportunities to change a single micro-moment, one person at a time. Asking ‘what if’ feels risky because it means you might have to acknowledge that what you’ve worked hard to put in place might not be the best solution. But if we don’t have the courage to question our assumptions, we’re choosing to stagnate by default. Attention is either earned or paid for. Increasingly, what matters to people is not how you show up, but why you show up. The biggest-spending consumers aren’t simply shopping for stuff anymore; they are shopping for ways to change how they feel, to express themselves and to find meaning. The future success of your business is less likely to be shaped by all the attention money can buy and much more likely to be shaped by your intention—which is free to choose. They make great headphones because they understand how music should sound, and more importantly, they know that people want to feel, not just hear, when they listen to it. Our best ideas and innovations are not born from simply wanting to make them great. We make them great by understanding who they are for and why they should matter. We mostly think of buying as an isolated act, something our customers do in the moment. But it’s probably more useful to think of buying as a behaviour. Our use of the digital products and platforms we can’t live without is behaviour driven. Savvy marketers see buying as a behaviour that they have the power to influence with triggers and not just persuasion. Triggers lead to actions that can become behaviours. Don’t just focus on the moment your customer pulls out her credit card. Think about how, why and how often she gets to that point and how you might influence those factors in the future. If you care enough to figure out what people are hungry for and why (it’s usually not another doughnut or more stuff), then you’ll find you do a lot less marketing. As an innovator or bringer of ideas to the world, you need to make things that add meaning to peoples’ lives. Things that change how people feel first, which in turn changes what they do and what they come to expect and embrace. GoPro cameras are not used simply to document activities—they allow people to become the heroes of their own stories. In the ‘needless’ economy, the job of the innovator isn’t to make something new; it’s to make something that matters. Marketing is not a department; it’s the story of how you create difference for your customers. These weren’t just boots, though; they were months of hopes and dreams about goals that might be scored or games that could be won with a single accurate cross, wrapped up in red leather with three silver stripes down the side. brand storytelling should primarily be the driver of participation, not sales. Storytelling is the way we enable our customers to attach meaning to our products, and it’s the reason they want to belong. When people feel like they belong—like they are part of the brand story and can own it—they become loyal customers. The brands we really love are the ones that create difference for us. They make us feel like we belong, that we are part of their story and they are part of ours. If you’ve created a brand story worth sharing, why worry about the competition? Your mission, then, isn’t to prevent your idea from being copied or stolen; it’s to find a way to matter. The products and services we come back to over and over again are designed for feeling, not just function. They are not made to be used or consumed. They are made to matter. The value of Uber is in the perception of time saved and the elimination of uncertainty. People place a premium on their time. requires us to make an emotional investment in the brand and to buy into that story. Let’s face it: descriptions are hard. It’s tough to differentiate your products and services with facts alone. Instead of trying to describe what it is you’re selling, set out to change how people feel the moment they read your copy or visit your website. How to create emotional points of difference with your product and service descriptions: 1. Resist relying on the description of features and benefits. Tell people what they can do with your product, not what the product does. 2. Let your current customers do the talking. Build trust, using proof with testimonials and customer stories. 3. Show how customers are using your product to make their lives better. Use images, videos, case studies and stories. 4. Think about how you want the people who use your products and services to feel. Write descriptions and create content that helps people to experience those feelings before they ever use the product or service. 5. Behave like a lover, or at least a very dear friend. Because if you’re going about your business the right way, that’s exactly what you are. Now go write like one. The biggest challenge that many of my clients have isn’t coming up with great ideas; it’s articulating why those ideas should matter, to the right people. We do _______________ so that you can do/feel/be _______________. We created _______________ so you don’t have to do/feel/be _______________. But we also pay with time, attention and love. First consider the reasons why your customers might pay you: Necessity Taxes, basic food and shelter. Fear (in general) Life insurance, private-school fees. Fear of missing out Sales, special offers, peer pressure. Convenience Snack size, easy open, home delivery and on and on. Perceived value A coke at the cinema is worth more to the popcorn eater than the coke that’s at home in the fridge. Scarcity There is no substitute. Johnny Depp, iPod, Sydney Opera House. Belonging Conferences, clubs, concerts, events and online programs. A shortcut PayPal, Slimfast, Google. It feels good Kickstarter, charity donations, volunteering, books. To reinforce the story they tell themselves and those around them. Starbucks, Jimmy Choo shoes, French champagne, organic vegetables, gym membership, Fair Trade, Beats by Dr Dre. you can’t tell a story to the right customers unless you understand the story they want to believe. There is no excuse for being lazy about telling your story. You may not get another chance. A lot of people think marketing is advertising. Marketing is a transfer of emotion. We buy with our hearts and justify decisions with our heads. People make judgments based on their worldview. Don’t try to convince people that they are wrong because you want to be right. Listen twice as much as you talk. Be yourself. Generosity scales. Always carry cards. You don’t have to matter to everyone. If people don’t believe you can help them, you probably can’t. When they ‘get it’, you’ll know. All markets, industries, tribes, leaders and individuals sell stories. We have to. We don’t have a choice, because stories are how humans read each other. Doctors sell trust by getting the grades to go to medical school in the first place, by doing the time and then behaving in a way that reinforces our worldview. Medicine doesn’t sell cures, it sells trust. You’re selling a story. It’s never been more important to know which one. Yes, actually, everything was okay. We had no complaints, nothing to report, and that, I guess, is the problem for most businesses—and it’s also the opportunity for you. Every day we have experiences that are nothing to write home about, micro make-or-break moments. Feelings that exist but that we can’t explain. Changing how we feel in those moments is so important that Apple has a secret packaging room where designers test which box designs evoke an emotional response. what differentiates a great app from a good one is the feeling that a level of love has been put into it. Living in a digital age has conditioned us to expect that things happen on demand and work perfectly the first time and every time. The goal posts for exceptional have shifted, and it’s almost impossible to make a product or service fly now without that level of love. We don’t want everything to be okay anymore. We want to feel the love. Success is not just a data point that you hit on the sales chart, or a dollar figure that makes your accountant happy. Success is how your customers feel. WHAT IF YOU HAD ONE LINE TO TELL THE TRUTH ABOUT YOUR PRODUCT? Imagine that you have a giant billboard on which to tell your customers the truth about your product or service. You’ve got just one line to do it in. What would your truth look and sound like? It (almost) goes without saying that your process needs to delight customers every step of the way. But your customers don’t want to know what you do. They want to know how you’re going to enable them to do what they want to do. People almost never buy the process. They buy the result. We really should be selling them what they want to be sold. The best salespeople, marketers and brands don’t actually sell us stuff they’ve made in factories or built with lines of code. They don’t even sell us things we want or need. They simply sell us the story that we already want to live and believe. Tell me about your customer. Not just her age, income and postcode—tell me who she really is. What keeps her awake at night? Where does she spend her time, both online and offline? What does she care about? Tell me about her fears, hopes and dreams. What matters to her? If we don’t take the time to really see our customers and get to know their story, how can we create the things and experiences they want and need? We are the stories we tell ourselves. The choices we make—from whom we follow on Twitter, to how we experience a city, where we shop and what we buy—have become as big a part of our identity as the place where we were born. Buying is no longer about getting things we need. It’s about reinforcing a set of beliefs we hold and share. Marketing is not about finding new ways to sell more of something. It’s about affinity more than it’s about price—feelings more than facts. Marketing is about giving people frames of reference and context. And above all, marketing is about becoming part of peoples’ stories. The truth is that massive shifts in what’s technologically possible haven’t made a blind bit of difference to the biology of humans. The needs and wants of people haven’t changed all that much—we are still driven by instinct and emotions and our basic human need to belong. They spend more to get more. While it might keep some businesses and ad agencies afloat for a little while, this is not a sustainable strategy. There is no shortcut to mattering to your customers. It’s a lot harder to justify building little by little for the long term, because we are constantly measuring and measured by short-term results. We look for quick wins and easy targets, which reinforce the notion that we’re doing our job. finding ways to delight and get closer to our customers is actually the shortcut to success.